What Do The Airbus A350 and A220 Have In Common? You may have never heard of Zodiac Aerospace, but you have certainly seen their work. The vast french company has over 100 sites around the world, with 35,000 employees, and supplies a multitude of aircraft components. They build aircraft seats, overhead bins, toilets, entertainment screens, cushions, seat rests, lights, air conditioning, aircraft lining, and more. In fact, Airbus loves Zodiac so much that they actually use them across a large range of product lines, from the new A350 to the zippy A220. However, this manufacturer had run into problems when it supplied products for the Airbus A350. 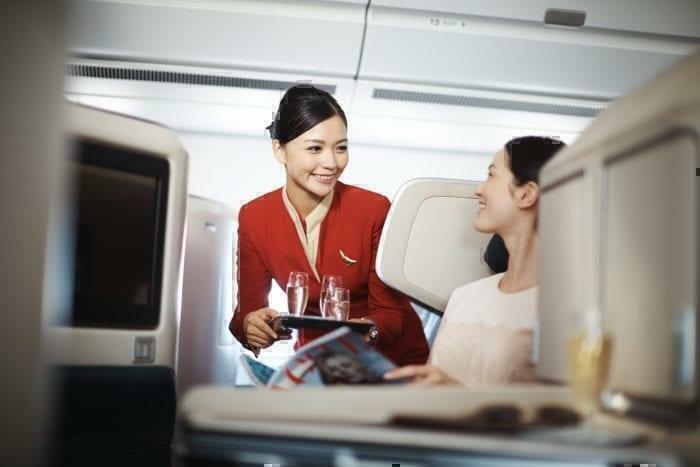 When Cathay Pacifics took delivery of their new A350’s back in April last year, they discovered that their business class seats were faulty and substandard (Specifically with the armrests and the tray tables). This was rather embarrassing for the airline, as they promised quite the new business class concept on this new plane. As such, Zodiac had to not only replace the entire business class seat section of the three Cathay A350’s affected but go over the rest of the upcoming A350 fleet deliveries with a tooth and comb. Airbus worked with the Zodiac team to fix the problems with the A350 and developed a robust ‘matrix’ that could quickly organize and solve any problems. When Airbus took ownership of the Bombardier CS100 program, they quickly realized that they had seen these production issues before. Slightly problematic interiors and faulty seat hard products. Zodiac, of course, was the main supplier of these products and was having some issues maintain the level of Quality. Bombardier had tried to outsource some additional work to another Canadian based supplier, but this small supplier simply could not match the requirements for the expanding A220 program. 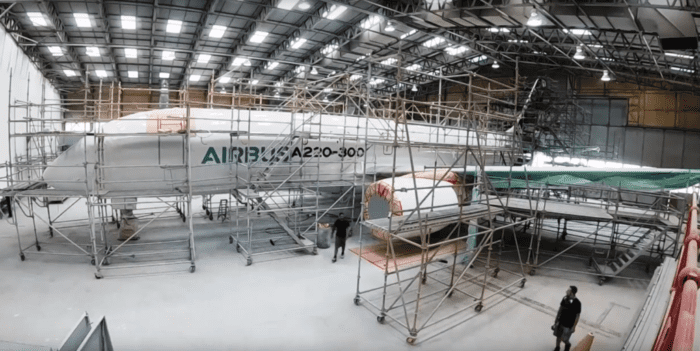 Experiencing Deju Vu, Airbus leveraged their experience with the A350 repairs into the A220 program to quickly fix the bottlenecks. Airbus employees who had been assigned to fixing the A350 program with Zodiac were immediately placed right back onto the A220 program. For some, there was almost no gap in handover, simply returning to work the next week on another program. Thus, Airbus was able to ramp up production of the A220 (no simple feat) and get over 50 planes into the sky in 2018. What do you think? Was Airbus successful in this play to solve quality issues on the A220 program?